I went through the images last night this is the image of the box column. Do you still want me to look for the other two links? Did not see the picture in the google link? What are people to comment on if you provide no context? No source? The picture with this text? The structural steel used in the exterior 14-inch by 14-inch columns that were spaced at 3 feet 4 inches on center around the entire periphery of each of the WTC towers was fabricated from various grades of high-strength steel [...] The cross-sectional shape of the columns can be seen in Figure B-1. These varied in length from 12 feet 6 inches to 38 feet, depending on the plate thickness and location. So the columns were a maximum of 38 feet long in the first place. If they were to break at the point where one column met another, naturally they would have had a strong probability of being around 30 feet long. This does not require demolition to explain. Is that a Skeptic site? Cannot find pictures of columns worked on by demolitions on a conspiracy site? neutronflux Are you not happy the image was uploaded on a The Skeptic site? Problem is though they skipped past talking about damage on the side of the box column. The just talk about the column length and size and if broke or not. You clearly see the side has been pushed out it expanded. I would not rule it out this is where they placed the nano-thermite or explosives? Like something was pulled through or off the column? Like a floor connection? 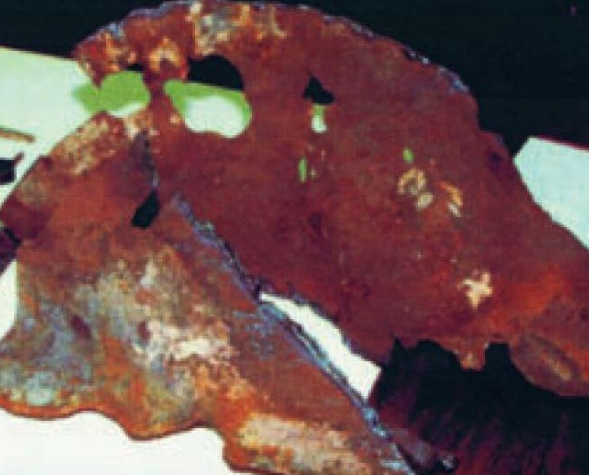 Funny you cannot find example of WTC steel worked on by demolitions? With no burns, cut ends, or the steel blown out vs pulled into the center? You can see the clear melting of the grains of the steel. So wich one is evidence of nano thermite. The exterior facade fell at the acceleration of free fall in phase two of its collapse because the exterior columns offered negligible resistance. The interior of WTC did not fall as a single unit as proven by the order items on the roof disappeared below the roof line. The interior was a progressive collapse from east to west. The facade did not began to fall until one of the WTC 7’s penthouse totally fell out sight below the roofline. Once all of WTC 7’s interior columns buckled, then the facade then collapsed. Thermite is used to weld metal in the field. It does not cause corrosions that would cause a building’s collapse in hours. 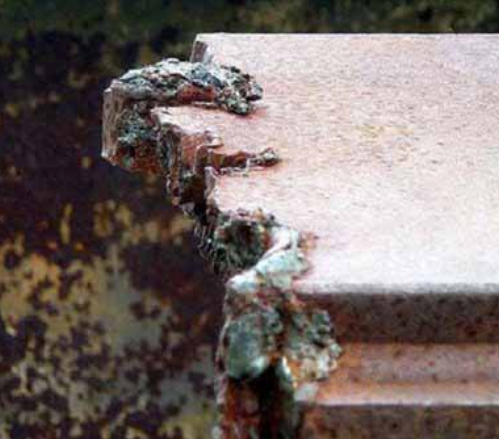 If thermite causes catastrophic corrosions, it would be impractical to use as a welding agent.